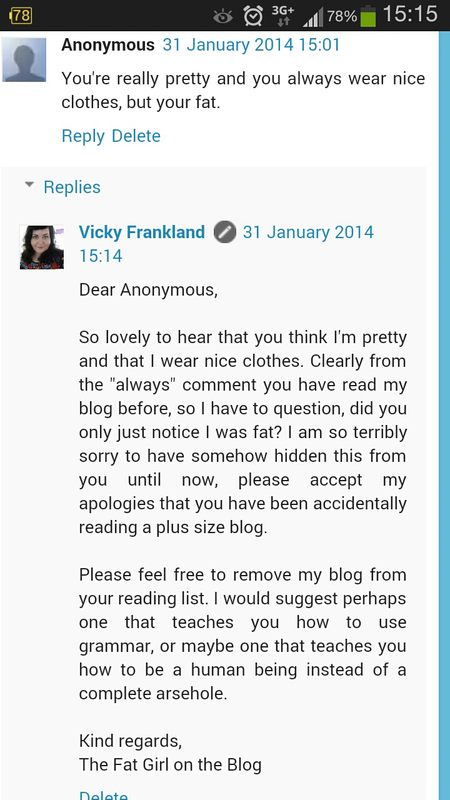 Today is my monthly guest column with @fashionworked and I'm having a bit of a rant... Timely given the troll activity on my blog this week as pictured below and the activity on brand Facebook pages and also other on other blogs. Lol - love your reply to this bad mannered person! It is always hard to be mean and anonymous, very brave person indeed! Not really. Such a good respons from you! And may I add - You Go Girl!